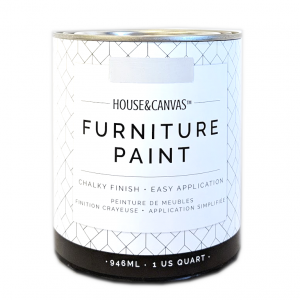 Learn To Make a Chalkboard Using House&Canvas Furniture Paint or any brand of Chalk Paint! Something I get asked ALL the time is – what’s the difference between Chalk Paint and Chalkboard Paint? In a nutshell, chalk paint is used to paint furniture, chalkboard paint is used to create an actual chalk board. I should mention that in the United States and possibly some other jurisdictions, the term chalk paint is a trademark owned by the Annie Sloan Chalk Paint Company… This is why you see a lot of other brands saying “Chalk finish” or “Chalk-like finish” – nobody is allowed to use the term chalk paint… There is no actual “chalk” in Chalk Paint by Annie Sloan or any other “chalky” paints… The term strictly refers to the fact that the paint dries to a “chalky” ultra-matte finish. 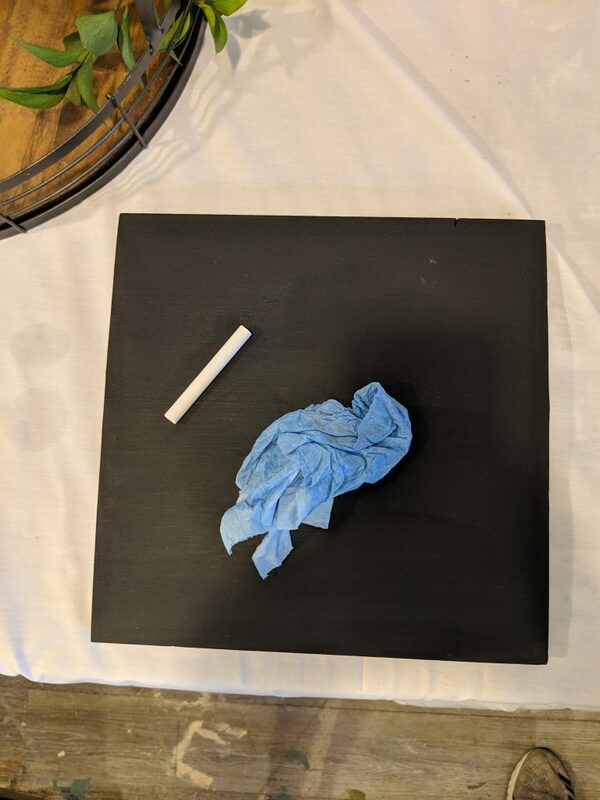 Chalkboard paint is awesome for crafty projects where you want to turn your surface into an actual chalkboard. 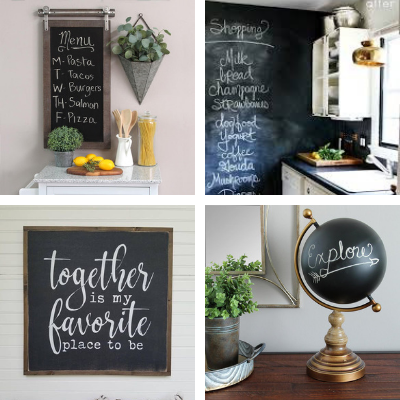 There are a ton of examples out there of wall hanging chalkboards that are super cute as home decor. I’ve also seen sections of walls painted in chalkboard paint which is super cute for the kiddos. There are a few brands of chalkboard paints on the market. 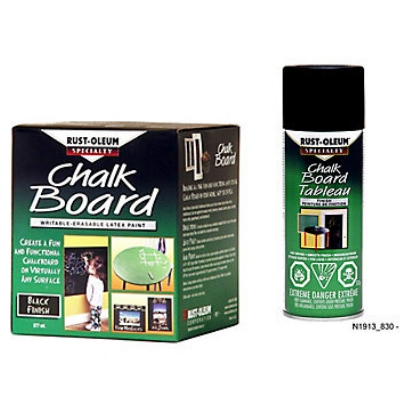 The one I used to use was Rust-Oleum’s Specialty Chalk Board paint. I found that it had the best coverage and was the smoothest of the bunch I’ve tried. You need to be extremely precise in the application of Chalk Board paint. It’s very common to end up with a ton of brush strokes. 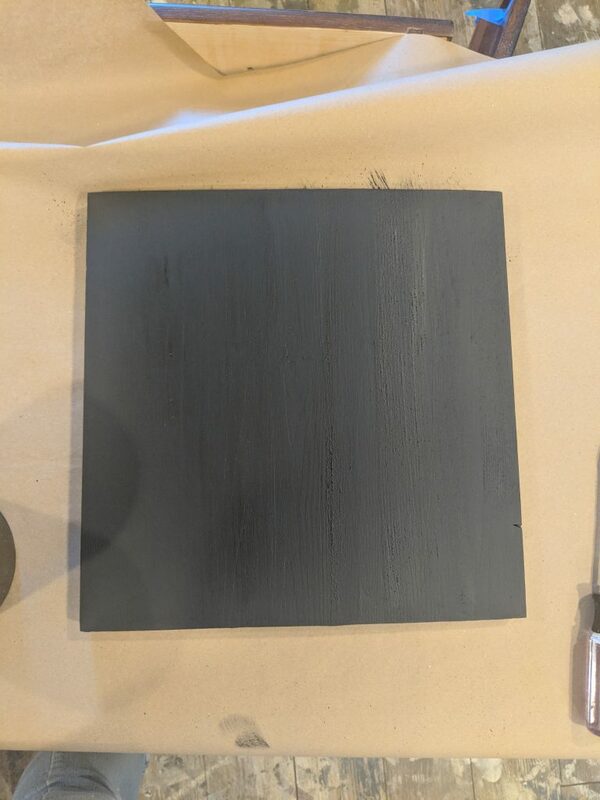 Chalkboard paint is not self leveling, so even application is key. To avoid brush strokes, I have used the chalk board spray paint quite a few times. The downside is that it takes many (many) coats to fully cover a piece. It’s also in an aerosol can which I try to avoid when possible. BUT, there is some good news. 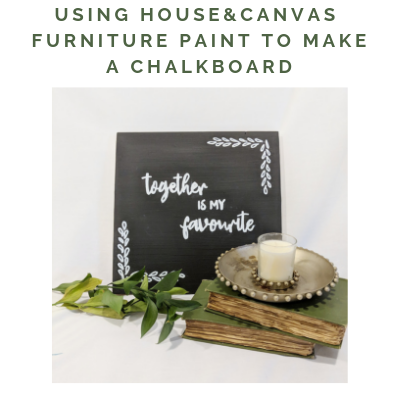 While chalkboard paint is definitely not suitable for painting furniture, any chalk style paint can be used both to paint furniture as well as create a chalkboard surface! 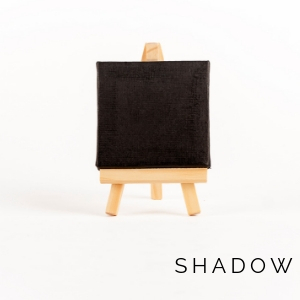 Take the 12″ x 12″ piece of hobby board cover the board with 3 coats of Shadow Furniture Paint. You will get full coverage after just 2 coats, but it’s good to paint a third coat extra for durability since you will likely be using it a lot! Let it dry overnight. Making sure the board is fully dry is key. If your paint hasn’t fully dried, trying to write with chalk will drag the paint off the board an make a mess. 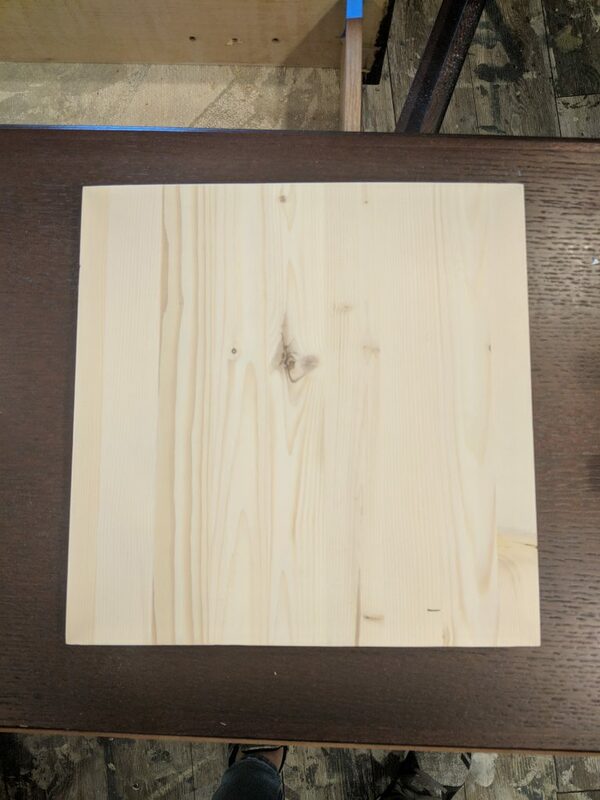 If this happens to you – you need to sand and paint again. 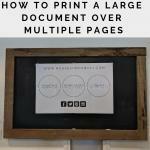 Do yourself a favor – be patient and wait over night! That’s it. It’s that easy. Don’t top coat your paint with anything (like varnish or wax) or else the chalk won’t stick. Just leave it as is!! 3 coats of paint and you are finished!! In the clip below, I use regular chalkboard chalk from the dollarstore. As you can see, it rubs off the painted board nice and easy with just a damp lint free cloth. 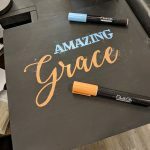 You can create a chalkboard on just about any surface, since House&Canvas Furniture Paint sticks to almost anything… you can try an old mirror, a wall, or even a table top!! The key is to not top coat it, and use a damp cloth to wipe it perfectly clean.